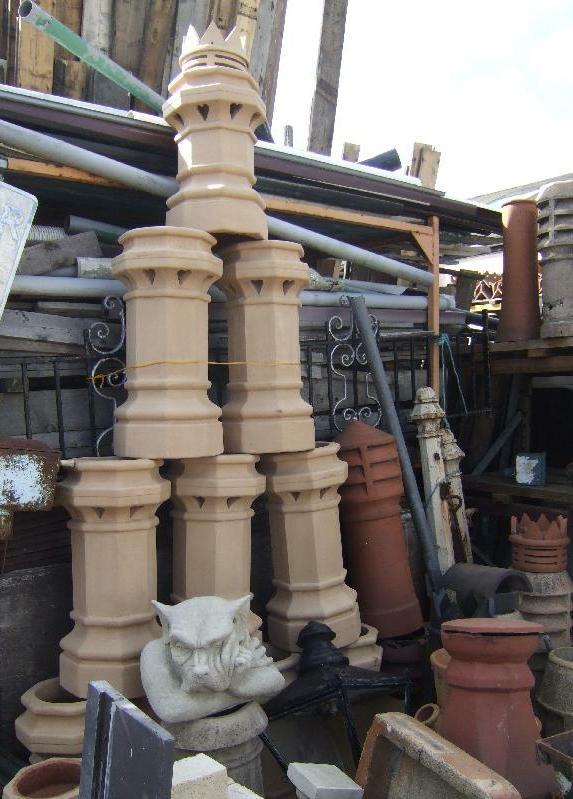 We stock a huge range of roof ridges and finials, with more arriving each week. 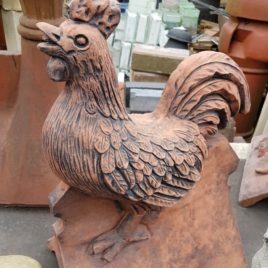 New decorative Cockerel Hen roof ridge with an aged terracotta finish. Dimensions approx: 48cm H x 25cm W x 36cm D. Ideal for your house, shed or as a garden ornament! 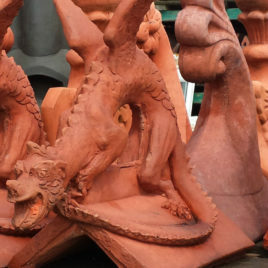 New decorative Dragon roof finial on a 90 degree angle ridge or half round ridge. Dimensions approx: 46cm H x 25cm W x 30cm D. Fantastic dragon finial which is hand made in frost proof stone with an aged terracotta colour finish. Ideal for your house, shed or as a garden ornament! New decorative Hawk roof finial on a 90 degree angle ridge. 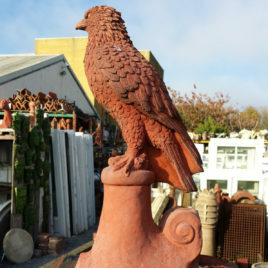 Dimensions approx: 59cm H x 22cm W x 23cm D. Fantastically detailed bird of prey which has been hand made in frost proof stone with an aged terracotta colour finish. Ideal for your house, shed or as a garden ornament!